Are you preparing to buy your first home? Maybe you are just looking for some great general home buying tips? If so you're going to love this collection of outstanding articles that will help throughout the home buying process from start to finish. Grab a cup of coffee and get your note pad ready for some great advice from top real estate agents across the country! 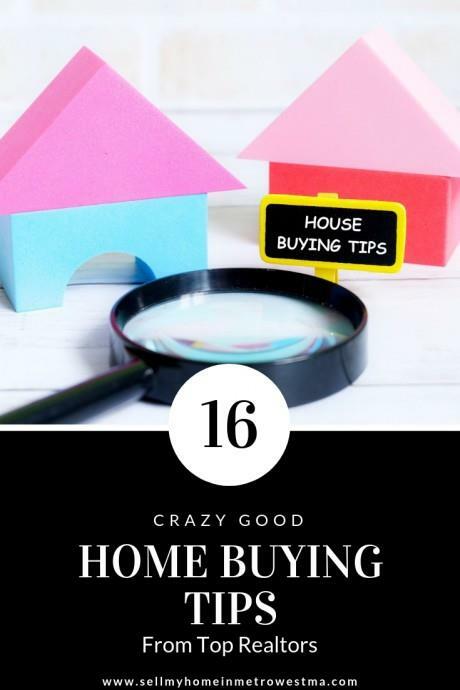 Use these 16 top notch home buying tips to make the best purchasing decisions! When real estate markets heat up across the country sellers are all smiles. When it comes time to sell they know they'll be in the drivers seat. At the present time there is no doubt home sellers are in a favorable position! In fact it is not uncommon right now, especially in the spring, to see multiple offers on desirable properties. Many buyers are asking their real estate agent how to win a bidding war on a house. They ask for good reason because many of them have already lost one or more homes they really love. In the informative article at Maximum Real Estate Exposure, you'll see some of the best tips on how to win when there are multiple offers on the table. Advice on winning a bidding war is one of the most common asked questions at the moment. Are you currently serving in the military? Have you in the past? If you are a veteran having graciously served our country you have some financial advantages when it comes time to buy a house. A Veterans loan is a great financial vehicle designed to help those who have or are serving in the armed services. There are many excellent benefits for VA loans. Take a look and see all the advantages of using a Veterans mortgage in the comprehensive article. Is there a better season in the year to buy a home? There sure is in most parts of the country! Spring by far is best for sellers and it is not even close. If you are purchasing a home in the Spring, you're bound to be up against a significant amount of competition as mentioned in the article above about winning a bidding war. For buyers most of the time the Winter is the best season to by a home. There are fewer buyers in the market competing for the same homes. Sellers who have homes for sale are typically more motivated to get their property sold as well. CNBC does an excellent job explaining seasonal home buying in their article. You have just found your dream home, made and offer and the seller has made a counter-offer back to you. Do you know what you should do? In his detailed article, John Cunningham has put together some solid advice on how to negotiate a counter offer. John gives a number of scenarios that could take place and how to deal with each of them. One of the most obvious reasons a buyer would want an exceptional buyer's agent in their corner is to get professional advice. A buyer's agent has many roles in the home buying process, chief among them is to be the buyers fiduciary. When buying a home, especially for the first time you are going to want counseling and advice. What should you offer on the home? Should you ask sellers to repair certain things discovered during the inspection? When you go directly to the seller's agent you DO NOT have representation. The seller's agent by law is not allowed to give you advice! You do not have someone in your corner battling hard for your best interests. Dual agency does not benefit home buyers in any way. The only person who wins in dual agency is the real estate agent. Avoid it! Here is a very good article that provides 11 top shelf tips when buying a home. Jamohl De Wald has not only provided timeless advice but has also included advice for first time buyers from other top real estate professionals who have been selling real estate for quite a long time. Take a look, as you are sure to grab something worthwhile you didn't already know. It is not uncommon at all for younger buyers to come out of college and start thinking about purchasing a house. The American dream is alive and well but loan debt can be a significant obsticle. In his eye opening article, Kyle Hiscock explains what you need to know about buying a home with student loans. See if you are truly ready to buy a home or not. As you will see in the next article, your budget should play a large role in making such a large financial decision. One of the most important pieces of advice when buying a home is not stretching yourself too thin. Buying a home that will make you house poor is not a good idea. Do you want to be eating boxed macaroni and cheese of the rest of your life? I didn't think so! Eileen Anderson has put together and excellent guide on purchasing a house on a budget. Take a look at her helpful article. Are you considering buying a new home? Buying new construction comes with a whole different obsticles as compared to buying a re-sale home. If you are going to be building make sure you ask these questions when buying a new house. Buying new can be awesome but also your worst nightmare if you're not careful. These twenty questions to ask the builder will go a long way to ensuring that does not happen. Whenever you are buying or selling a house there a certain real estate terms you should have a strong understanding of. This article at Maximum Real Estate Exposure, provides some common terms you'll encounter when buying a home. Make sure you have a grasp on these before making your purchase. If you are a borrower purchasing a home at the lower end of the market in many places you'll discover that the properties need quite a bit of improvements. There are many buyers who do not have the funds to buy a home and then turn around and invest thousands of dollars to make repairs. This is where an 203K rehab loan really benefits buyers. You are able to purchase the home and role the amount needed to make repairs into the mortgage. Take a look at this helpful article from Kevin Vitali that explains the process. One of the biggest steps in buying a home is securing a mortgage. Getting financing is also one of the areas that most buyers have the least amount of knowledge. Petra Norris has done an amazing job of providing answers to common questions about mortgages. Take a look at her tips and advice in this mortgage resource. In real estate sales it is not all that uncommon for a buyer to find a home they love and then have second thoughts the next day. Buying a home is a major emotional and financial decision. Quite often you see buyer's remorse after winning a bidding war. The buyer's thought process is - "oh my God did I make a huge mistake"? In his helpful article, Luke Skar provides advice on how to avoid buyer's remorse. Take a peak and see how he advises to deal with this situation. As previously mentioned above on dual agency, it is vital to have a skilled buyer's agent representing your best interests. Buying a home is an expensive proposition. It makes sense you would want to have the best real estate agent possible. In her superb article, Michelle Gibson shares how to know you have hired the wrong buyer's agent. When buying a home make sure you do a thorough interview of the agent you're going to be working with. It certainly can make a significant difference! It cannot be emphasized enough that dual agency is terrible for home buyers. When buying a home make sure you have an exclusive buyers agent representing your best interests. There is no benefit going directly to the agent who represents the seller! After looking at homes for months, you've finally found the one you love. You made an offer and it was accepted. Now it is time for the home inspection. Unfortunately, you have discovered some significant problems you had no idea exisited. What should you do? In one of her terrific articles, Sharon Paxson provides advice on what should and should not be negotiated after an inspection. Her tips are helpful for those who have never gone through the home inspection process before. Are you planning on adding and addition to the home you just bought? Is there some remodeling you want to do? One of the things many homeowners get lazy with when buying a home is getting proper building permits for work they are going to do. This can be a huge mistake! When buying a house always make sure you get required permits. Paul SIan discusses this in depth in his terrific article. When it comes time to sell, you'll wish you had gotten the permits. Trust me! You have now closed on your home. The home buying process went smoother than expected. Now the fun part happens - decorating your new place! Here is a great guide from Anita Clark on how to decorate your home inexpensively. Take a look at her money saving decorating tips. Obviously, there has been a lot to disgest here in these home buying tips. You can be confident in knowing these articles reference some of the best real estate bloggers expertise. If you are going to be selling a home make sure you check out my top home selling tips as well. The home selling guide is packed with information that will help you sell your property for the most money in the shortest time frame.